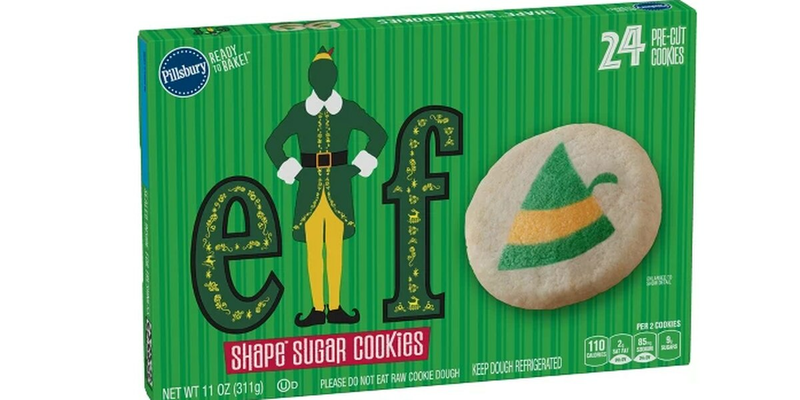 If you don’t think your singing voice would bring much cheer, just do the next best thing: bake some Pillsbury Elf-themed cookies. The cookies are a nod to the movie as it celebrates 15 years of spreading Christmas cheer every holiday season, according to People. The 24-count cookies feature Buddy’s signature hat that he wore throughout the movie on his journey to find his dad and save Christmas. You could even leave the cookies out for Santa, since he knows exactly who Buddy is. Make sure it’s the real Santa, though, not the one who smells like beef and cheese. Sugar is Buddy’s favorite food - with the four main food groups of the elves being candy, candy canes, candy corn, and syrup - so it’s only fitting that the cookies are sugar cookies. And we bet they taste a little bit better than syrup on spaghetti. Just don’t cram them into the VCR.